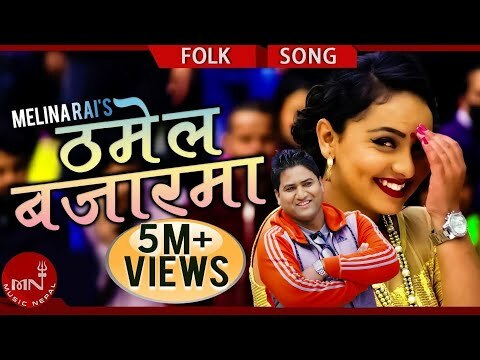 50,000+ गीतहरु OFFLINE MODE मा समेत सुन्नुहोस् MUSIC NEPAL App मा .DOWNLOAD NOW ➤http://bit.ly/2FInqX3 Songs Collection Video Jukebox only on Music Nepal official YouTube channel. Right for this video is provided by Music Nepal Pvt.Ltd. Songs Included In Video Jukebox Are:- 1. Paanko Paat ➤ Singer - Bam Bahadur Karki & Premraja Mahat ➤Lyricist - Bam Bahadur Karki & Premraja Mahat ➤Music - Bam Bahadur Karki & Premraja Mahat 2. Machhi Marana ➤ Singer - Surya Thulung & Hira Devi Rai ➤Lyricist - Nabin Gurung ➤Music - Dhananjay Thapa 3. Lekali He Choya Ko ➤ Singer - Ram Thapa ➤Lyricist - Ram Thapa ➤Music - Ram Thapa 4. Bhijyo Timro Rato ➤ Singer - Shiba Basnet,Pandav Sunuwar,Basudev Munal & Gyanu Rana ➤Lyricist - Santosh Basnet ➤Music - Santosh Basnet 5. Saune Khola Urlera ➤ Singer - Rachana GC ➤Lyricist - Rachana GC ➤Music - Rachana GC 6. Lai Bari Lai ➤ Singer - Kumar Basnet ➤Lyricist - Kumar Basnet ➤Music - Kumar Basnet 7. Kalkatte Kaiyo ➤ Singer -Jayananda Lama,Balram Karki,Sarita Lama & Baba Basnet ➤Lyricist - Jayananda Lama ➤Music - Jayananda Lama 8. Jhamke Fuli ➤ Singer -Tirtha Kumari,Rachana,Tara Suwal,Dhruba Khadka & Rabindra Basnet ➤Lyricist - Suresh Khadka ➤Music - Suresh Khadka 9. Malmalkiri Junkiri ➤ Singer - Komal Oli ➤Lyricist - Komal Oli ➤Music - Komal Oli 10. 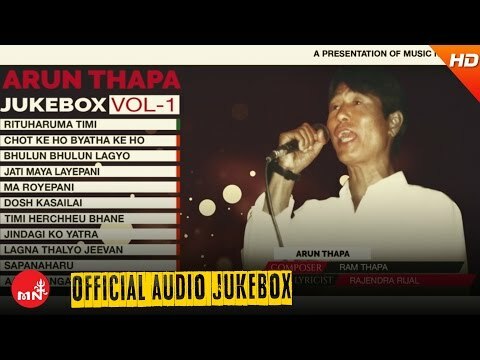 Katar Katarma ➤ Singer - Ram Thapa & Tara Thapa ➤Lyricist - Maunata ➤Music - Ram Thapa #Musicnepal #jukebox #Newyear2076 © Music Nepal. All Rights Reserved. Business Enquiry - Info@musicnepal.com ➥Subscribe to Music Nepal Channel for unlimited Nepali entertainment and don't forget to click the BELL icon to get all the notification of all the uploads. http://goo.gl/vuX6x5 ➥Visit us - www.musicnepal.com ➥Like us on Facebook - https://www.facebook.com/musicnepalpvtltd ➥Follow us on Twitter - https://twitter.com/@musicnepalMN ➥Follow us on Instagram - http://instagram.com/musicnepalmn ➥Circle us on G+ - https://plus.google.com/+MusicNepalPvtLtd Unauthorized downloading and duplicating on YouTube channel and any other media platform is STRICTLY PROHIBITED and will lead to punitive measures. A World of Nepali Music & Entertainment Keep Loving Nepali Music and Movies!!!! LISTEN TO OTHER HITS OF CHANDANI SHAH ON MUSIC NEPAL STREAMING APP.DOWNLOAD NOW➤http://bit.ly/musicnplandriod (Android) ➤http://bit.ly/musicnplios (IOS) Chandani Shah Hit Song Collection Audio Jukebox 2018/2075 only on Music Nepal official YouTube channel. Right for this video is provided by Music Nepal Pvt.Ltd. Songs Included In Audio Jukebox Are:- 1. Euta Manchheko 2. Ukali Orali Haruma 3. Jatatatai Khoje 4. Subhakamana Bhari 5. Rittyo Bhanchhu 6. Timra Pauharuma 7. Gham Ma Pani Maya 8. Aanshu Ra Suskera 9. Him Srinkhala 10. Mero Mayako Sansar 11. Yeti Thulo Sansarma 12. Aama Bhayera 13. 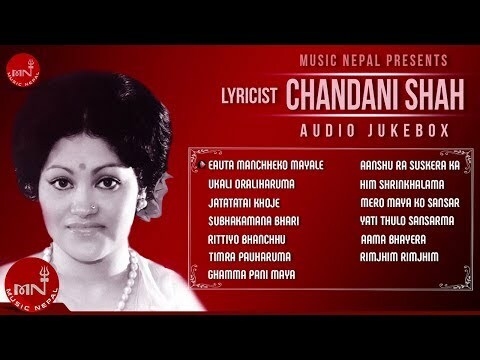 Rim Jhim Rim Jhim #Musicnepal #Audiojukebox #Chandanishah © Music Nepal. All Rights Reserved. Business Enquiry - Info@musicnepal.com ➥Subscribe to Music Nepal Channel for unlimited Nepali entertainment and don't forget to click the BELL icon to get all the notification of all the uploads. http://goo.gl/vuX6x5 ➥Visit us - www.musicnepal.com ➥Like us on Facebook - https://www.facebook.com/musicnepalpvtltd ➥Follow us on Twitter - https://twitter.com/@musicnepalMN ➥Follow us on Instagram - http://instagram.com/musicnepalmn ➥Circle us on G+ - https://plus.google.com/+MusicNepalPvtLtd Unauthorized downloading and duplicating on YouTube channel and any other media platform is STRICTLY PROHIBITED and will lead to punitive measures. A World of Nepali Music & Entertainment Keep Loving Nepali Music and Movies!!!! 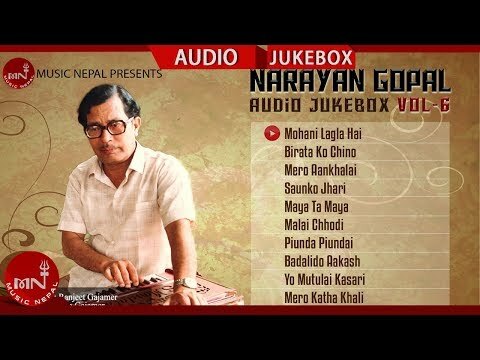 Narayan Gopal Songs Collection Jukebox Vol 6 2018/2075 only on Music Nepal official YouTube channel. Right for this video is provided by Music Nepal Pvt.Ltd. Songs Included In Audio Jukebox Are:- 1.Mohani Lagla Hai 2. Birata Ko Chino 3. Mero Aankhalai 4. Saunko Jhari 5. Maya Ta Maya 6. Malai Chhodi 7. Piuda Piudai 8. Badalido Aakash 9. Yo Mutulai Kasari 10. 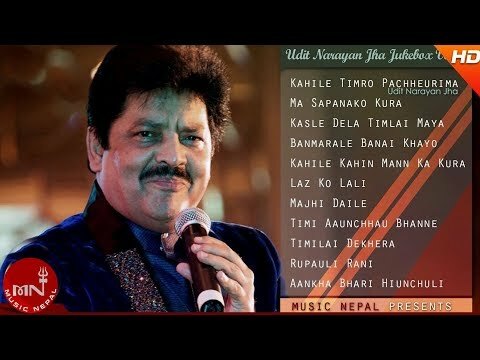 Mero Katha Khali #Musicnepal #jukebox #Narayangopal Subscribe to Music Nepal Channel for unlimited Nepali entertainment http://goo.gl/vuX6x5 Like us on Facebook https://www.facebook.com/musicnepalpvtltd Follow us on Twitter https://twitter.com/@musicnepalMN Follow us on Instagram http://instagram.com/musicnepalmn Circle us on G+ https://plus.google.com/+MusicNepalPvtLtd Unauthorized downloading and duplicating on YouTube channel and any other media platform is STRICTLY PROHIBITED and will lead to punitive measures. A World of Nepali Music & Entertainment Keep Loving Nepali Music and Movies!!!! Presenting Superhit Nepali Adhunik Song " ASARE MAHINAMA " by Prashant Tamang only on Music Nepal official YouTube channel. Right for this video is provided by Music.Com Pvt.Ltd. 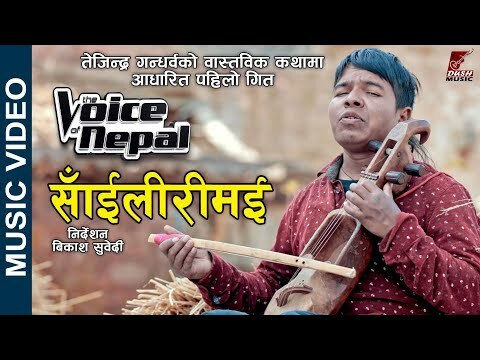 Song - ASARE MAHINAMA Singer – Prashant Tamang Lyrics/Music – Tulsi Gajmer Artist – Puja Sharma /Amit Director – Prasanna Paudel #musicnepal #asaremahinama #pujasharma #prashanttamang Lyrics : असारै महिनामा, पानी पर्यो रुझाउने। एक्लो यो मेरो मन, कसरी बुझाउने। भन्थिन है मैच्यांगले, रुदै धरर। नौ डाँडा पारी छ, कम्पनी शहर। बिछोडको बेलैमा।…२ मनै बराल्ने, न्याहुलको बोली।…२ यहि बेला मैच्यांग, के गर्दै होली।…२ पिडीमा बसेर, के के कुरा गन्दी हो। कहिले हास्दी हो, कहिले रुंदी हो। मलाई नै सम्झेर।…२ छँग-छँग बग्ने, खहरे खोला।…२ अब त छोरा, कुद्ने भो होला।…२ दिनभरी खेल्दो हो, मलाई नै भुल्दो हो। साँझ परेपछि, आमालाई सोध्दो हो। खै बाबा भनेर।…२ असारै महिनामा, पानी पर्यो रुझाउने। एक्लो यो मेरो मन, कसरी बुझाउने। भन्थिन है मैच्यांगले, रुदै धरर। नौ डाँडा पारी छ, कम्पनी शहर। बिछोडको बेलैमा।…३ © Music Nepal. All Rights Reserved. Subscribe to Music Nepal Channel for unlimited Nepali entertainment and don't forget to click the BELL icon to get all the notification of all the uploads. http://goo.gl/vuX6x5 Visit us - www.musicnepal.com Like us on Facebook - https://www.facebook.com/musicnepalpv... Follow us on Twitter - https://twitter.com/@musicnepalMN Follow us on Instagram - http://instagram.com/musicnepalmn Circle us on G+ - https://plus.google.com/+MusicNepalPv... Unauthorized downloading and duplicating on YouTube channel and any other media platform is STRICTLY PROHIBITED and will lead to punitive measures. A World of Nepali Music & Entertainment Keep Loving Nepali Music and Movies!!!! New Nepali Lok Dohori song - Kaslai Sodhne Hola Singer: Bishnu Majhi, Bhagirath Chalaune Music / Lyrics: Shiva Hamal Director: Kapil Lama Copyrights for this video is provided by "Trisana Music" to Music Nepal #musicnepal #bishnumajhi #shivahamal © Music Nepal. All Rights Reserved. Business Enquiry - Info@musicnepal.com ➥Subscribe to Music Nepal Channel for unlimited Nepali entertainment and don't forget to click the BELL icon to get all the notification of all the uploads. http://goo.gl/vuX6x5 ➥Visit us - www.musicnepal.com ➥Like us on Facebook - https://www.facebook.com/musicnepalpv... ➥Follow us on Twitter - https://twitter.com/@musicnepalMN ➥Follow us on Instagram - http://instagram.com/musicnepalmn ➥Circle us on G+ - https://plus.google.com/+MusicNepalPv... Unauthorized downloading and duplicating on YouTube channel and any other media platform is STRICTLY PROHIBITED and will lead to punitive measures. A World of Nepali Music & Entertainment Keep Loving Nepali Music and Movies!!!! Watch new Nepali lok dohori song Lalumai by Bishnu Majhi & Sandip Neupane featuring Shristi Khadka & Sandip Neupane only on Shiva Hamal's official YouTube channel. Shiva Hamal Presents:- New Nepali lok dohori song 2075 #BishnuMajhi #NewNepaliSong #ShristiKhadka #SandipNeupane #ShivaHamal -------------------------------------------------------- 🎧 Audio Credits:- Song:- लालुमै Lalumai Vocal:- Bishnu Majhi & Sandip Neupane Lyrics:- Shiva Hamal Music:- Shiva Hamal Music Arranger:- Ashish Aviral Mix/Master:- HBN Kismat Audio/video:- Bijay Digital -------------------------------------------------------- 🎬 Video Credits:- Director:- Prakash Bhatta CAD:- Rajaram Simkhada Cinematographer / Drone:- Rajesh Ghimire Camera Asst. :- Bhisma Karki "Mukunda" Editor:- Bishnu Sharma Artists:- Shristi Khadka & Sandip Neupane MUA:- Shristi Thapa Magar Roshan Bhusal Dress:- Puspa Barma Light:- Prem Khanal Rajendra Mahara Shiva Dhimal Gauri Mahara Kitchen:- Surya Neupane Transport Bhuwan Ale Padam Thapa Magar Manager:- Gaurav Bhatta Post Production:- Sai Vision Pvt. Ltd. 01-4102684 -------------------------------------------------------- Special Thanks:- Bikram Pariyar Bimal Pariyar Ranjit Pariyar Sunil Pariyar Sita Shrestha Manju BK © Shiva Hamal, 2019 ------------------------------------------------ Social links:- YouTube:- https://tinyurl.com/y3njc4co Facebook:- https://www.facebook.com/ShivaHamal.nepal/ Please like, share & subscribe Shiva Hamal's official videos. Unauthorized downloading and uploading on YouTube channel is Strictly Prohibited And will attract punitive measures from Shiva Hamal. Embedding to a website is allowed. 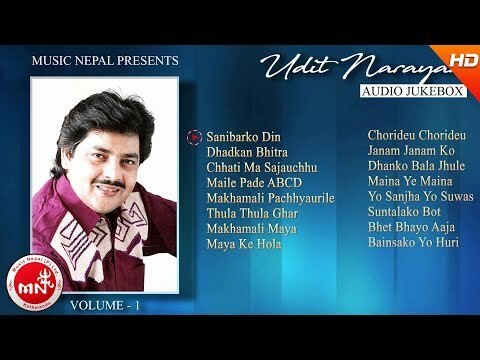 50,000+ गीतहरु OFFLINE MODE मा समेत सुन्नुहोस् MUSIC NEPAL App मा .DOWNLOAD NOW ➤http://bit.ly/2FInqX3 New Nepali Song Video 2019/2075 "Butte Rumal" By Bimal Raj Chhetri & Anju Panta only on Music Nepal official YouTube channel. Right for this video is provided by Sitara Music Pvt.Ltd. Nepali Dancing Lok Geet - Butte Rumal ➤ Album – Supari Chamro 2 ➤ Singer – Bimal Raj Chhetri & Anju Panta ➤ Lyrics – Eknarayan Bhandari ➤ Music – Eknarayan Bhandari ➤ Artists – Priyanka Karki & Gamvir Bista ➤ Arrange – B.B Anuragi ➤ Mixing – Shyam Swayat Rasaili ➤ Studio – Prism Digital ➤ Editor – Nabin Niraula ➤ Camera – Gyanendra Sharma ➤ Director – Gamvir Bista #Musicnepal #Nepalilokgeet #priyankakarki © Music Nepal. All Rights Reserved. Business Enquiry - Info@musicnepal.com ➥Subscribe to Music Nepal Channel for unlimited Nepali entertainment and don't forget to click the BELL icon to get all the notification of all the uploads. http://goo.gl/vuX6x5 ➥Visit us - www.musicnepal.com ➥Like us on Facebook - https://www.facebook.com/musicnepalpvtltd ➥Follow us on Twitter - https://twitter.com/@musicnepalMN ➥Follow us on Instagram - http://instagram.com/musicnepalmn ➥Circle us on G+ - https://plus.google.com/+MusicNepalPvtLtd Unauthorized downloading and duplicating on YouTube channel and any other media platform is STRICTLY PROHIBITED and will lead to punitive measures. A World of Nepali Music & Entertainment Keep Loving Nepali Music and Movies!!!! New Nepali Song Video 2018/2075 "Thamel Bazarma" By JB Oli & Melina Rai only on Music Nepal official YouTube channel. Right for this video is provided by Aama Music Pvt.Ltd. Nepali Lok Dohori Song - Thamel Bazarma Singer – JB Oli & Melina Rai Lyrics – JB Oli Music – JB Oli & Umesh Thagunna Artists – Karishma Dhakal, Dhurba Himali & JB Oli Editor – Manoj Karki Camera – Karan Chaisir Director – Mausam Himali #Musicnepal #Newlokgeet #Melinarai Subscribe to Music Nepal Channel for unlimited Nepali entertainment http://goo.gl/vuX6x5 Like us on Facebook https://www.facebook.com/musicnepalpvtltd Follow us on Twitter https://twitter.com/@musicnepalMN Follow us on Instagram http://instagram.com/musicnepalmn Circle us on G+ https://plus.google.com/+MusicNepalPvtLtd Unauthorized downloading and duplicating on YouTube channel and any other media platform is STRICTLY PROHIBITED and will lead to punitive measures. A World of Nepali Music & Entertainment Keep Loving Nepali Music and Movies!!!! 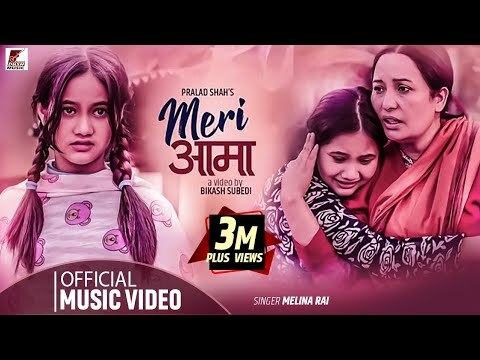 LISTEN TO OTHER HIT SONGS ON MUSIC NEPAL STREAMING APP.DOWNLOAD NOW➤http://bit.ly/musicnplandriod (Android) ➤http://bit.ly/musicnplios (IOS) New Nepali Song Video 2019/2075 "Malai Dekhera" By Melina Rai, Kulendra Bishwakarma & Dhruba Sharma only on Music Nepal official YouTube channel. Right for this video is provided by Ashish Music Pvt.Ltd. 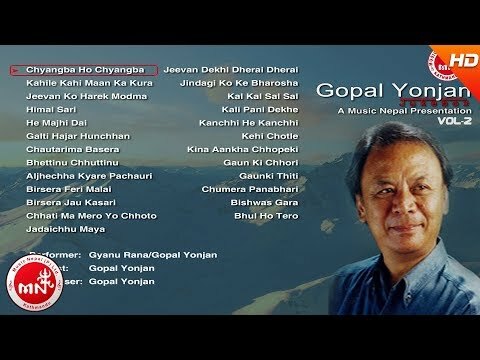 Nepali Lok Geet Song - Malai Dekhera ➤ Singer – Melina Rai, Kulendra Bk & Dhruba Sharma ➤ Lyrics – Dhruba Sharma ➤ Music – Dhruba Sharma ➤ Artists – Juna Sundas & Dhruba Sharma ➤ Editor – Milan Bishwokarma ➤ Camera – Prakash Khadka ➤Arranger- Krishna BK (Bhanja) ➤ Director – Bikram Chauhan #Musicnepal #Newlokgeet #KulendraBK © Music Nepal. All Rights Reserved. Business Enquiry - Info@musicnepal.com ➥Subscribe to Music Nepal Channel for unlimited Nepali entertainment and don't forget to click the BELL icon to get all the notification of all the uploads. http://goo.gl/vuX6x5 ➥Visit us - www.musicnepal.com ➥Like us on Facebook - https://www.facebook.com/musicnepalpvtltd ➥Follow us on Twitter - https://twitter.com/@musicnepalMN ➥Follow us on Instagram - http://instagram.com/musicnepalmn ➥Circle us on G+ - https://plus.google.com/+MusicNepalPvtLtd Unauthorized downloading and duplicating on YouTube channel and any other media platform is STRICTLY PROHIBITED and will lead to punitive measures. A World of Nepali Music & Entertainment Keep Loving Nepali Music and Movies!!!! 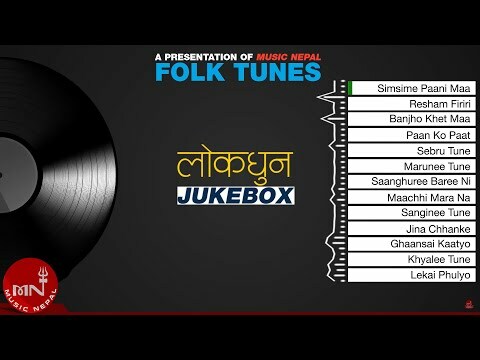 50,000+ गीतहरु OFFLINE MODE मा समेत सुन्नुहोस् MUSIC NEPAL App मा .DOWNLOAD NOW ➤http://bit.ly/2FInqX3 (Only For NTC Users) New Nepali Song Video 2019/2075 "Laltin' By Bishnu Majhi & Mohan Khadka only on Music Nepal official YouTube channel. Right for this video is provided by Bhawana Music Solution Pvt.Ltd. 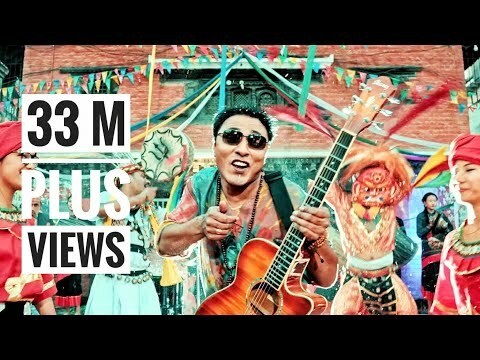 New Nepali Lok Dohori - Laltin (लाल्टिन) ➤ Singer – Bishnu Majhi & Mohan Khadka ➤ Lyrics – Bimal Adhikari ➤ Music – Mohan Khadka ➤ Artists – Bimal Adhikari & Anjali Adhikari ➤ Choreographer – Shiva BK ➤ Production – Om Shiva Films ➤ Editor – Bikash Gyawali ➤ Camera – Rameshwor Karki ➤ Director – Shiva BK #Musicnepal #Bishnumajhi #Laltin © Music Nepal. All Rights Reserved. Business Enquiry - Info@musicnepal.com ➥Subscribe to Music Nepal Channel for unlimited Nepali entertainment and don't forget to click the BELL icon to get all the notification of all the uploads. http://goo.gl/vuX6x5 ➥Visit us - www.musicnepal.com ➥Like us on Facebook - https://www.facebook.com/musicnepalpvtltd ➥Follow us on Twitter - https://twitter.com/@musicnepalMN ➥Follow us on Instagram - http://instagram.com/musicnepalmn ➥Circle us on G+ - https://plus.google.com/+MusicNepalPvtLtd Unauthorized downloading and duplicating on YouTube channel and any other media platform is STRICTLY PROHIBITED and will lead to punitive measures. A World of Nepali Music & Entertainment Keep Loving Nepali Music and Movies!!!! 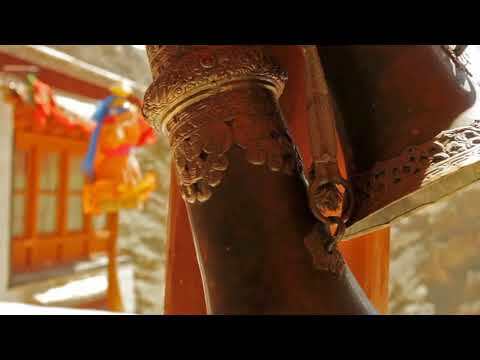 Enjoy Calm nepali folk music tune!! Thanks for watching! If you enjoyed the music, give it a thumbs up and please subscribe for new videos! 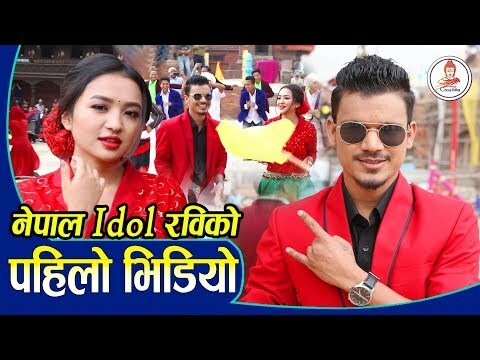 Nepal Idol Ravi Oad First Music Video With Alisha Rai | सुटिङमा यस्ता सम्म भेटिए Ravi Oad र Alisha Rai का फ्यानहरु | Buddha Creation Nepal Host : Chakra Dhami Guest : Nepal Idol Ravi Oad | Model Alisha Rai Camera/Edit : Ishwor Dhami Technical Depart : Buddha Creation Nepal & Team ▶Facebook: https://www.facebook.com/Buddhacreati... ▶ Facebook: https://www.facebook. com/birendradm62 ✔☎+977 014243464 ✔☎+977 9866536760 #NepalIdolRaviOad #AlishaRai #BuddhaCreationNepal !!! !...Unauthorized downloading and uploading on YouTube channel is Strictly Prohibited And will attract punitive measures from Buddha Creation Nepal यस च्यानलमा अपलोड भएका हरेक अन्तबार्ता, रिपोर्ट तथा अन्य Video हरु कपि, Download गरी अन्य Channel मा upload गरेको पाइएमा प्रचालित कानुन बमोजिम कडा भन्दा कडा कारबाही गरिनेछ । Embedding to a website is allowed. New Nepali Song Video 2016 /2073 "Kapuri Ka" By Sunil Katuwal & Anjila Regmi only on Music Nepal official YouTube channel. Right for this video is provided by Aashish Music Pvt Ltd Nepali Dancing Song - Kapuri Ka Singer – Sunil Katuwal & Anjila Regmi Lyrics – Bhim BC Music – Bhim BC Arranger – Almoda Rana Uprety Artist – Sagar Lamsal & Rakshya Shrestha Presenter – Kumar Katuwal Dance Group – Hello Crew Production Manager – Dilip Panta Make - Up – Sobha Shrestha Editor – Prabin Bhatta Dop – Utsav Dahal Director – Babbu Thapa #Musicnepal #Rakshyshrestha #Sagarlamsal Subscribe to Music Nepal Channel for unlimited Nepali entertainment http://goo.gl/vuX6x5 Like us on Facebook https://www.facebook.com/musicnepalpvtltd Follow us on Twitter https://twitter.com/@musicnepalMN Follow us on Instagram http://instagram.com/musicnepalmn Circle us on G+ https://plus.google.com/+MusicNepalPvtLtd Unauthorized downloading and duplicating on YouTube channel and any other media platform is STRICTLY PROHIBITED and will lead to punitive measures. A World of Nepali Music & Entertainment Keep Loving Nepali Music and Movies!!!! 50,000+ गीतहरु OFFLINE MODE मा समेत सुन्नुहोस् MUSIC NEPAL App मा .DOWNLOAD NOW ➤http://bit.ly/2FInqX3 New Nepali Song Video 2019/2075 "Timrai Hu Ma" By Anju Panta only on Music Nepal official YouTube channel. Right for this video is provided by Everest Gallery Pvt.Ltd. Nepali Adhunik Song - Timrai Hu Ma ➤ Singer – Anju Panta ➤ Lyrics – Keshav Bairagi (Mailo) ➤ Music – Sunil Rai ➤ Artists – Sanam Kathayat & Sita Dhamala ➤Child Artist - Avelina Khadka ➤ Editor – Tekendra Shah ➤ Camera – Mukesh Humagain & Team ➤ Director – Janak Singh #Musicnepal #Newadhuniksong #Timraihuma © Music Nepal. All Rights Reserved. Business Enquiry - Info@musicnepal.com ➥Subscribe to Music Nepal Channel for unlimited Nepali entertainment and don't forget to click the BELL icon to get all the notification of all the uploads. http://goo.gl/vuX6x5 ➥Visit us - www.musicnepal.com ➥Like us on Facebook - https://www.facebook.com/musicnepalpvtltd ➥Follow us on Twitter - https://twitter.com/@musicnepalMN ➥Follow us on Instagram - http://instagram.com/musicnepalmn ➥Circle us on G+ - https://plus.google.com/+MusicNepalPvtLtd Unauthorized downloading and duplicating on YouTube channel and any other media platform is STRICTLY PROHIBITED and will lead to punitive measures. A World of Nepali Music & Entertainment Keep Loving Nepali Music and Movies!!!! DUSHMUSIC NEPAL Presents' Lyricist: PRALAD SHAH’S " मेरी आमा " (MERI AAMA) A Very Heart Touching Video Song singer MELINA RAI Lyrics PRALAD SHAH Music NABIN KARKI arrange PURUSHOTTAM SUBEDI production nirmal neupane studio ACOUSTIC STUDIO MIXING CHANDU CHAUDHARY mua NIMA MOKTAN ASST. CINEMATOGRAPHY aBinash manandhar feat. SHANTI GIRI / SEDRINA Sharma ASST. DIRECTION MAHESH TRIPATHI CINEMATOGRAPHY ANIL K MANANDHAR COLOR GRADING / POST PRODUCTION INTENSE YIELD VISUAL EDIT SUPRIM PARAJULI STORY/DIRECTION BIKASH SUBEDI SPECIAL THANKS: Nepalese Association in SouthEast America (NASeA) Triad Nepalese Community Center (TNCC) High Point, North Carolina Bishal Bharati Nilam Joshi Laxman Dahal Johana Dahal Dipak Ranabhat Bisnu Paudel Dev Sharma Bhandari Ujjwal Chalise Saroj Dangi LILA SHRADDHA SHANN THAPA © PRALAD SHAH , 2018 #SedrinaSharmaMelina #JusticeForNirmala Thanks To: The Voice Of Nepal Nepal Idol Season 2 Paul Shah Shankar Thapa Smile DP Khanal Uday Raj Poudel Anamol Kc For More About Us; Like Us On Facebook: https://www.facebook.com/Dushmusic/ Subscribe Us On YouTube: https://m.youtube.com/channel/UC8JWtg... Google+: https://plus.google.com/1089909584535... Email: https://musicdush@gmail.com Phone: +9779803312668 © & P Dush Music Pvt.Ltd. 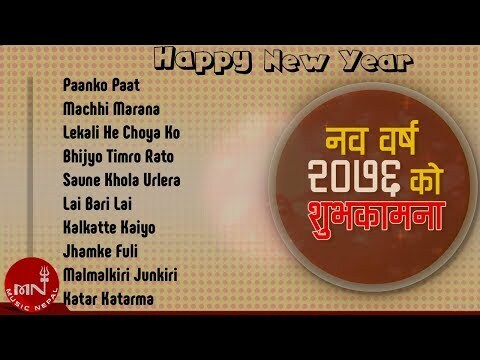 Dush Music Nepal Is Authorized To Upload This video.Using of this video on other channels without prior permission will be strictly prohibited. (Embedding to the YouTube Channel is allowed). Thank You. LISTEN TO OTHER HITS ON MUSIC NEPAL STREAMING APP.DOWNLOAD NOW➤http://bit.ly/musicnplandriod (Android) ➤http://bit.ly/musicnplios (IOS) Popular Movie Song Collection Audio Jukebox 2018/2075 only on Music Nepal official YouTube channel. Right for this video is provided by Music Nepal Pvt.Ltd. Songs Included In Audio Jukebox Are:- 1. Aaja Bahrahate Patuki 2. Makhmali Pachhyaurile 3. Nidhrama Rato Mato 4. Heool Hello Hi HI 5. Goli Sisha Ko 6. Malai Fulnadeu 7. Akash Ki Hau 8. Sit Ko Thopa 9. Mayako Jalaima #Musicnepal #Audiojukebox #Popularmoviesong © Music Nepal. All Rights Reserved. Business Enquiry - Info@musicnepal.com ➥Subscribe to Music Nepal Channel for unlimited Nepali entertainment and don't forget to click the BELL icon to get all the notification of all the uploads. http://goo.gl/vuX6x5 ➥Visit us - www.musicnepal.com ➥Like us on Facebook - https://www.facebook.com/musicnepalpvtltd ➥Follow us on Twitter - https://twitter.com/@musicnepalMN ➥Follow us on Instagram - http://instagram.com/musicnepalmn ➥Circle us on G+ - https://plus.google.com/+MusicNepalPvtLtd Unauthorized downloading and duplicating on YouTube channel and any other media platform is STRICTLY PROHIBITED and will lead to punitive measures. A World of Nepali Music & Entertainment Keep Loving Nepali Music and Movies!!!! 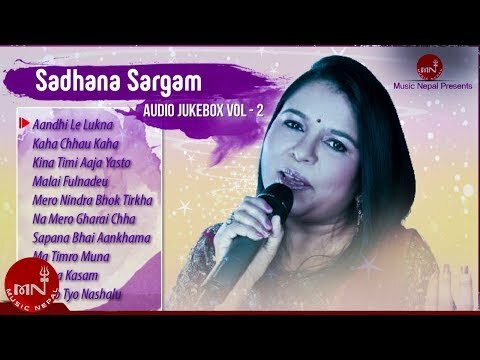 LISTEN TO OTHER HITS OF SADHANA SARGAM ON MUSIC NEPAL STREAMING APP.DOWNLOAD NOW➤http://bit.ly/musicnplandriod (Android) ➤http://bit.ly/musicnplios (IOS) SADHANA SARGAM Old Hit Song Collection Audio Jukebox 2018/2075 only on Music Nepal official YouTube channel. Right for this video is provided by Music Nepal Pvt.Ltd. Songs Included In Audio Jukebox Are:- 1. Aadhi Le Luknu 2. Kaha Chhau Kaha 3. Kina Timi Aaja Yesto 4. Malai Phulna Deu 5. Mero Nindra Bhok 6. Na Mero Gharai Chha 7. Sapana Bhai Aakhama 8. Ma Timro Muna 9. Bacha Kasam 10. Timro Tyo Nasalu #Musicnepal #Audiojukebox #Sadhanasargam © Music Nepal. All Rights Reserved. Business Enquiry - Info@musicnepal.com ➥Subscribe to Music Nepal Channel for unlimited Nepali entertainment and don't forget to click the BELL icon to get all the notification of all the uploads. http://goo.gl/vuX6x5 ➥Visit us - www.musicnepal.com ➥Like us on Facebook - https://www.facebook.com/musicnepalpvtltd ➥Follow us on Twitter - https://twitter.com/@musicnepalMN ➥Follow us on Instagram - http://instagram.com/musicnepalmn ➥Circle us on G+ - https://plus.google.com/+MusicNepalPvtLtd Unauthorized downloading and duplicating on YouTube channel and any other media platform is STRICTLY PROHIBITED and will lead to punitive measures. A World of Nepali Music & Entertainment Keep Loving Nepali Music and Movies!!!! 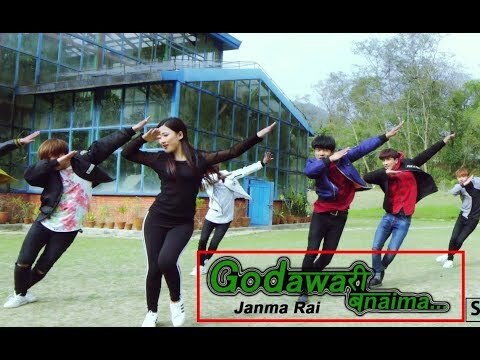 Official Music Video New Nepali Romantic Dance Pop Song "Godawari Banaima", performed by Janma Rai featuring a Talented Dance Crew STRUKPOP - A Well Choreographed & Bit Different Music Video than of Trending Dance Crews - Crewz and others. STRUKPOP is also a winner of KPOP WORLD FESTIVAL 2016. Lyrics / Music: Janma Rai Arranger: Rajan Ishan Mixing: Sagar Subba Studio: Opus 9 Audio On: Antara Music Pre-Master: Maheswor Man Rajbhandari Ft.: Suresh Moktan, Suman Rai, Alek Tamang, Mizel Raj Pradhan, Prakash Rai, Priya Limbu, Ashish Tamang, Santosh Shah Thakuri Choreographer: STRUKPOP Camera: Rupesh Thapa Edit / Color: Shilan Lamsal Direction: Janma Rai Post. : Like Minds Please Do Subscribe For More Videos ! C & P 2017 Antara Music. All Rights Reserved. 50,000+ गीतहरु OFFLINE MODE मा समेत सुन्नुहोस् MUSIC NEPAL App मा .DOWNLOAD NOW ➤http://bit.ly/2FInqX3 (Only For NTC Users) New Nepali Song Video 2019/2075 "Timile Chodeu Bhane" By Pramod Kharel only on Music Nepal official YouTube channel. Right for this video is provided by Music Nepal Pvt.Ltd. Nepali Song - Timile Chodeu Bhane ➤ Singer – Pramod Kharel ➤ Lyrics – Santosh K.C ➤ Music – Santosh K.C ➤ Artists – Shilpa Pokhrel & Bikram Budhathoki ➤ Editor – Kranti K.C ➤ Camera – Ajay Regmi ➤ Director – Kranti K.C #Musicnepal #Pramodkharel #shilpapokhrel © Music Nepal. All Rights Reserved. Business Enquiry - Info@musicnepal.com ➥Subscribe to Music Nepal Channel for unlimited Nepali entertainment and don't forget to click the BELL icon to get all the notification of all the uploads. http://goo.gl/vuX6x5 ➥Visit us - www.musicnepal.com ➥Like us on Facebook - https://www.facebook.com/musicnepalpvtltd ➥Follow us on Twitter - https://twitter.com/@musicnepalMN ➥Follow us on Instagram - http://instagram.com/musicnepalmn ➥Circle us on G+ - https://plus.google.com/+MusicNepalPvtLtd Unauthorized downloading and duplicating on YouTube channel and any other media platform is STRICTLY PROHIBITED and will lead to punitive measures. A World of Nepali Music & Entertainment Keep Loving Nepali Music and Movies!!!! 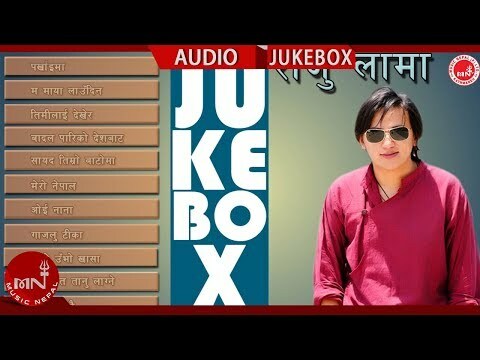 50,000+ गीतहरु OFFLINE MODE मा समेत सुन्नुहोस् MUSIC NEPAL App मा .DOWNLOAD NOW ➤http://bit.ly/2FInqX3 Songs Collection Video Jukebox only on Music Nepal official YouTube channel. Right for this video is provided by Bhawana Music Solution Pvt.Ltd. Songs Included In Video Jukebox Are:- 1. Baru Yesai Dukhi 2. Goreto 3. Narune Mann #Musicnepal #jukebox #Bhawanamusicsolution © Music Nepal. All Rights Reserved. Business Enquiry - Info@musicnepal.com ➥Subscribe to Music Nepal Channel for unlimited Nepali entertainment and don't forget to click the BELL icon to get all the notification of all the uploads. http://goo.gl/vuX6x5 ➥Visit us - www.musicnepal.com ➥Like us on Facebook - https://www.facebook.com/musicnepalpvtltd ➥Follow us on Twitter - https://twitter.com/@musicnepalMN ➥Follow us on Instagram - http://instagram.com/musicnepalmn ➥Circle us on G+ - https://plus.google.com/+MusicNepalPvtLtd Unauthorized downloading and duplicating on YouTube channel and any other media platform is STRICTLY PROHIBITED and will lead to punitive measures. A World of Nepali Music & Entertainment Keep Loving Nepali Music and Movies!!! !